Now, I use this title with caution. 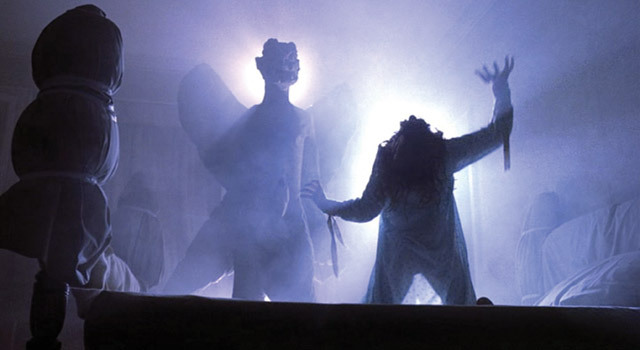 Most of the movies in this category are things that you may have to jump a mental hurdle or two to get out of what may be your normal movie-watching headspace; if you do that, you should love just about everything on this list. 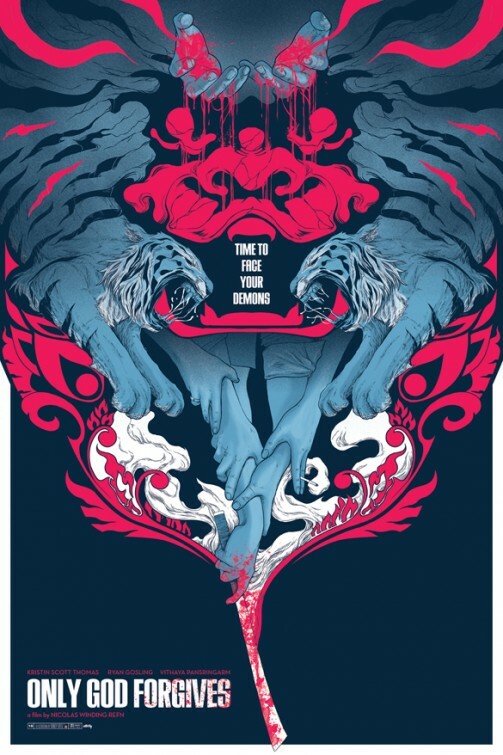 But Only God Forgives is something that we just don’t see very often and for good reason- it’s slow, somber, violent, and if you go in expecting Drive, you’ll probably be the most disappointed. 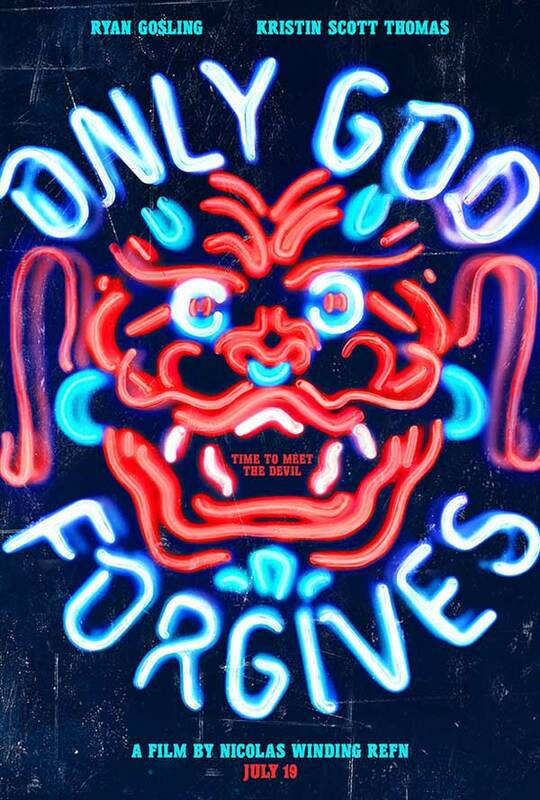 Only God Forgives seems to follow the story of an American in Thailand on the hunt for his brother who was killed by a policeman. 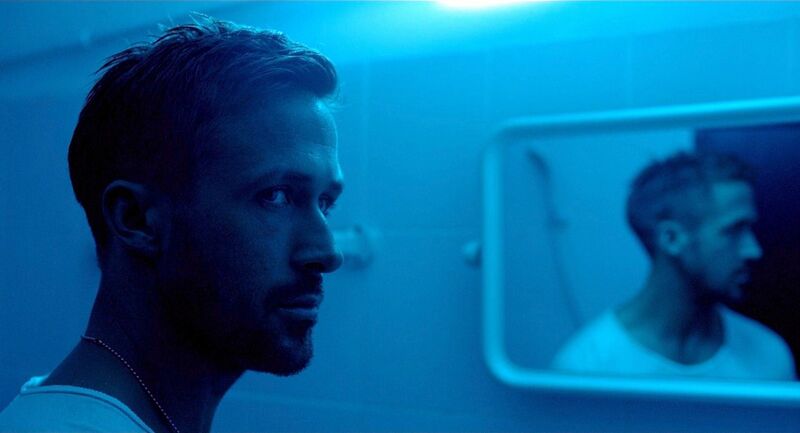 Julian (played by Ryan Gosling) is on a mission from his demanding mother to kill the man responsible. But through the world of neon lights and underground boxing, terms like “good guy” and “bad guy” aren’t easily drawn lines. Writer/director Nicholas Winding Refn creates another film in the same vein as his films that came before Forgives, Valhalla Rising and Drive, it really isn’t meant to be the third in a sort of “spiritual trilogy,” where characters, themes, and ideas cross over into the next film that isn’t a direct sequel as it doesn’t even hint at taking place in the same universe like Tarantino’s films do. And get used to the color blue. And that’s partly what’s so interesting about this movie and why I couldn’t get it out of my mind when I first saw it. It’s a film that, if watched with the right people, you’ll spend more time talking about the movie than you will actually watching it. Just about every amazingly photographed shot is filled with some sort of meaning behind the simple image you’re being shown. There’s so much to read into, I might have started taking it too far. 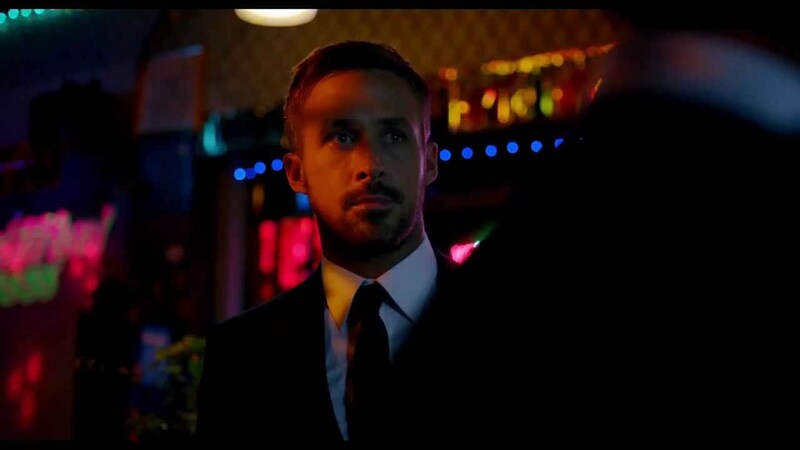 For example, Gosling’s character Julian is shown on several occasions staring at his hands, and most notably in front of the statue of a boxer. Julian is often shown looking at his hands because of the crime he committed with them. Yet he runs a boxing club and beatdowns are shown through the duration of the film like stupidity is in Zach Galifianakis characters. So I can’t help but think that the boxer behind Julian is sort of a representation the violence in his life- it’s like disease he has; haunting him and possessing him, as it’s clear in the film that Julian doesn’t really like anything he’s a part of, generally speaking, his own lifestyle. And I don’t think the director had that in mind necessarily but there’s enough metaphors in here, I think it’s safe to say we’re meant to draw our own conclusions on much of the film rather than one, cohesive message. Evidently, this film has been met with some booing by audiences at some screenings. I’m not sure what they were expecting, but maybe they were looking for something with more action? This fight lasts maybe two minutes and is one of the best choreographed fight scenes I’ve ever seen. The movie is filled with somber, empty stares down a bizarrely lit hallway seemingly meant to lull us into security. Seconds later we might be introduced to a man being brutally beaten with no music, only the effects of a fist pounding a face. No matter how much I write I’m not sure I’ll be able to cover every aspect of the film, not that we’d want that anyway. But a majorly featured part of the movie is Chang the policeman. I can’t help but think that this is what had people confused when watching it. I’ve already labeled this article as featuring spoilers so this won’t do anymore damage. Gosling’s character is not the protagonist. He’s a main character, and is featured on the poster, sure. But Chang the policeman is the closest thing to a “good guy” that we get. Gosling is featured on the poster because in a mostly Korean cast, this thing has got to be appealing to anybody that would watch it, but Julian is basically just another thug. A thug with pizazz sure, but a thug nonetheless. While he’s the one we’re watching more often, an interesting way to view the film is to imagine that we’re watching what it’s like to view this story from the eyes of the villain’s head minion. Who’s the villain? Julian’s mother of course, who’s played by the venomous Kristin Scott Thomas; a former prostitute running a drug ring, she displays no admirable qualities even when it comes to her son. Did I mention that the cinematography makes the simplest thing look awesome? Out of her two sons, she only shows affection for the one that’s killed at the beginning and even then, incestuous overtones are running rampant in her dialogue. Many have taken her character to be the devil himself, as Chang the policeman is meant to be God in human form. Not Jesus- God. Refn would tell Pansringarm, who plays Chang, before each take that he was God. Pretty creepy actually. So in a sense, this is what an Almighty spiritual battle looks like when it takes place in human form. Maybe that’s an oversimplification but it’s intriguing enough in it’s own right. And if that is the case, it makes Julian some sort of fallen angel, wouldn’t it? Notice that Change is nigh untouchable and doesn’t sustain any injuries throughout the film. When he unsheathes his sword, he doesn’t seem to pull it from…anything. 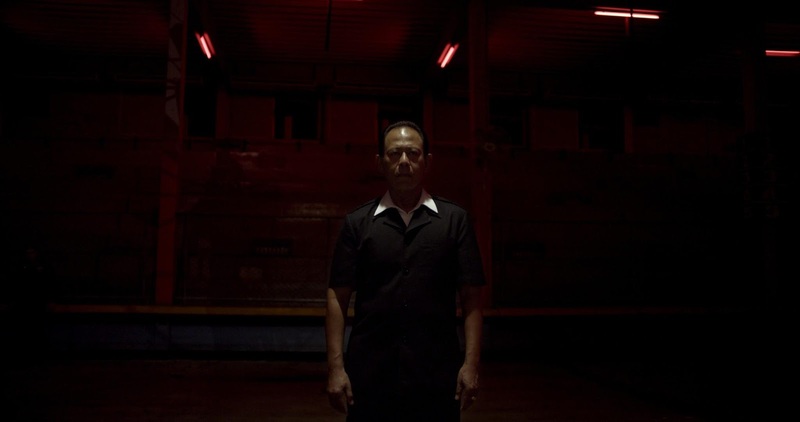 According to Refn, Chang is meant to be something like a reincarnation of sorts from Drive’s Driver….who is reincarnated from Valahalla Rising’s One-Eye. Each are violent, nearly speechless men who are what they do, rather than being a person that does something. And they are vengeance personified and knowing this actually makes Drive better. Here’s a video that goes deeper into it if you’re interested. And here are some posters, because these things are awesome. 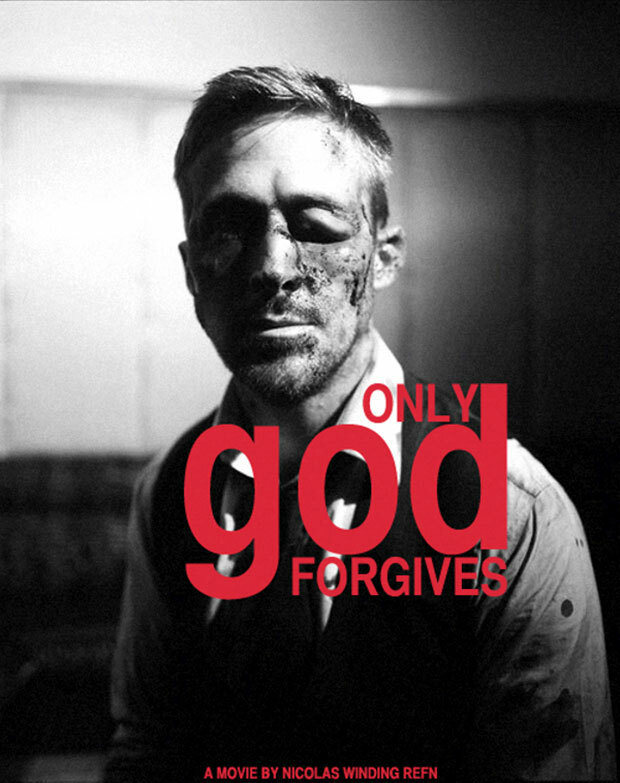 This entry was posted on 11/21/2013 at 6:21 pm and is filed under You've Gotta See This with tags nicholas winding refn, only god forgives, review, ryan gosling. You can follow any responses to this entry through the RSS 2.0 feed. You can leave a response, or trackback from your own site. Cool it, guy. Cool it.